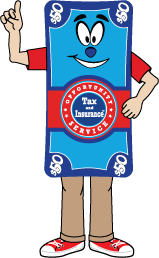 Opportunity Tax and Insurance Service of Miami is your locally owned and operated tax preparation and insurance location. We offer full-service tax preparation services, competitive auto insurance rates and ancillary products that meet many of the needs of our customers, including roadside assistance and a telemedicine program. We happily support the Miami community, as well as the Family Christian Association of America, and we hope to be your one-stop-shop for financial services!